Meet the South African couple who have taken the leap and are travelling full-time while running a business. 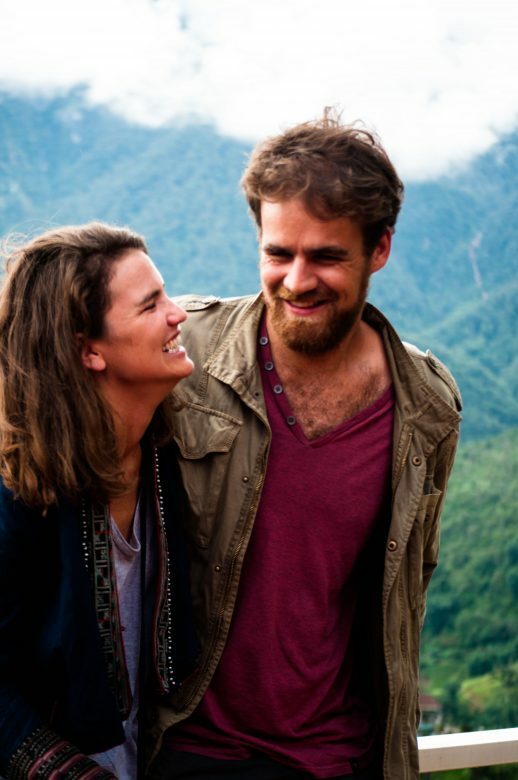 Rebecca Tooley and Patrick Lambert started Travelling Trader earlier this year, an online shop which sells ethically sourced handmade products from all over the world. They travel to remote places sourcing beautiful products, only staying in each place for a few weeks before continuing their adventure. Travelstart caught up with Rebecca to find out how they do it. 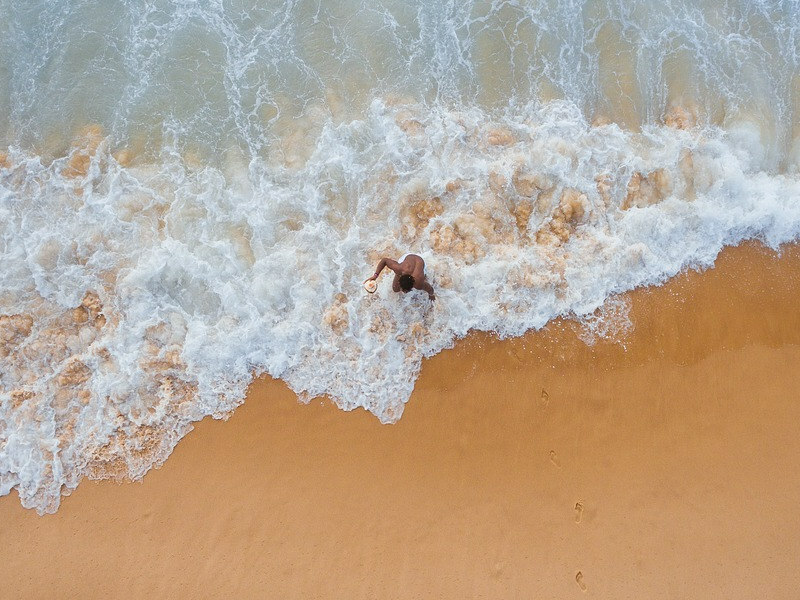 All the photographs in this story are courtesy of Patrick Lambert follow their photographic journey @travelling__trader. Can you tell us a little about the ethos of Travelling Trader? We started Travelling Trader with the idea of finding beautiful unique clothing, cloth and jewellery made by people in the places we travelled. We wanted to specifically find things that are handmade using ancient techniques. Our goal is to connect people to the clothing they wear. We are all very disconnected and unaware of where our clothes come from and who made our clothes which is crazy because clothing is so much a part of our lives. Everyone around the world wears certain types of clothing to show an identity but with the women and men we work with- clothing and jewellery is far more meaningful. Their clothes and the way these people dress has been passed down for thousands of years which is incredible. We always do business in a fair way and generally work with a few people from an area so we can really get to know more about their craft. We believe that the clothes, cloth and jewellery they make are so unique and have an amazing story and we love the idea of ‘wearing a story’. We also try to buy clothes, cloth and jewellery, which are as organically made as possible and the beauty about our pieces that we sell on our shop is that we usually find them in remote villages where people grow their own hemp or cotton and dye a lot of their clothing naturally. The reason we decided to combine a blog with the shop was to allow our followers to get a richer experience, we want our followers to feel more of a connection with their purchases as well as with our journey. We also wanted to know more about people still so rich in culture and share their knowledge, skills, craft and stories with the world. 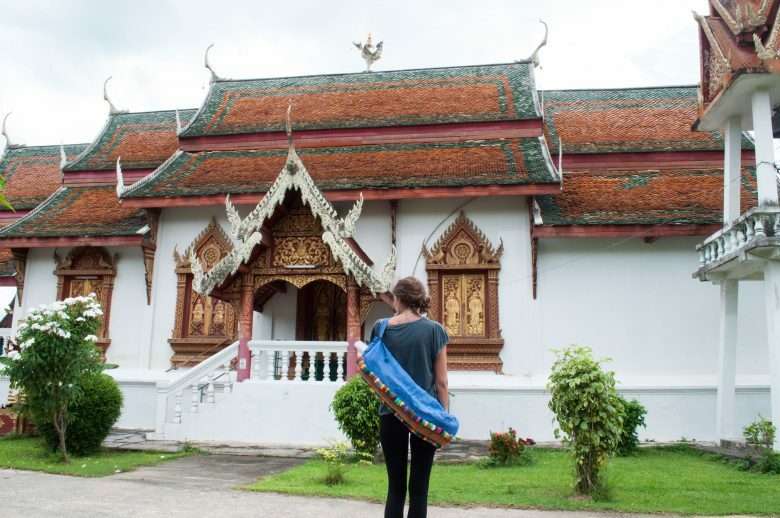 What made you decide to leave the 9 to 5 life and pursue Travelling Trader? My boyfriend Patrick and I were both working full-time, myself a teacher and Patrick an engineer. I have always had an Idea to start an online shop and a fascination with cultural dress and finding out more about these cultures. I really wanted to start a shop, Patrick wanted to pursue a more creative career and we both wanted freedom so we quit our jobs in South Africa and began our journey in Hanoi, Vietnam. We knew we had to save a little to get things started so we both taught at summer schools in Hanoi. We then bought a camera and headed up into the mountains to start our shop. We both never really liked the 9-5 routine and were searching for something which would give us the freedom to be wherever, whenever. Travelling Trader proved to be an amazing concept that could allow for this lifestyle. It was definitely one of the scariest decisions that we have ever made and we are both still learning a lot. I think the biggest thing is to get over the first hurdle of starting because that is the scariest jump. Once you make that leap though it becomes a little easier and things start to fall into place. Have there been any surprises and unforeseen obstacles so far? There have been many… The biggest surprise was how much positive response we got in the very beginning. We didn’t expect so many people to start following and supporting us so quickly and we didn’t really expect so many people to start buying things straight away. We had an incredible response, better than we could have imagined. There have been a lot of obstacles. Thailand has been quite tricky as we haven’t really found unique products because of the influx of tourism. A lot of people make and sell things that tourists want, whereas we are looking for unique clothing and ethnic cloth. 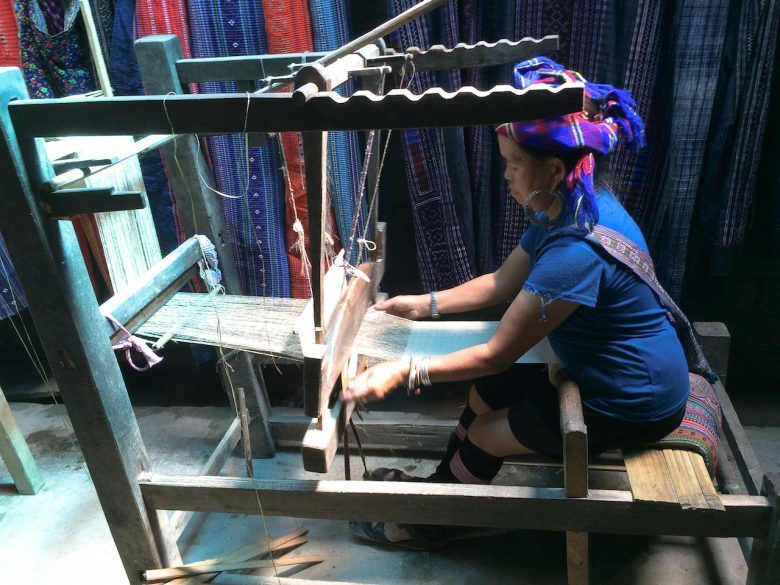 At first this stressed us out but we decided to look at Thailand differently and are doing a lot more blog posts about villages and things we are learning such as how tourism is affecting traditional textiles. 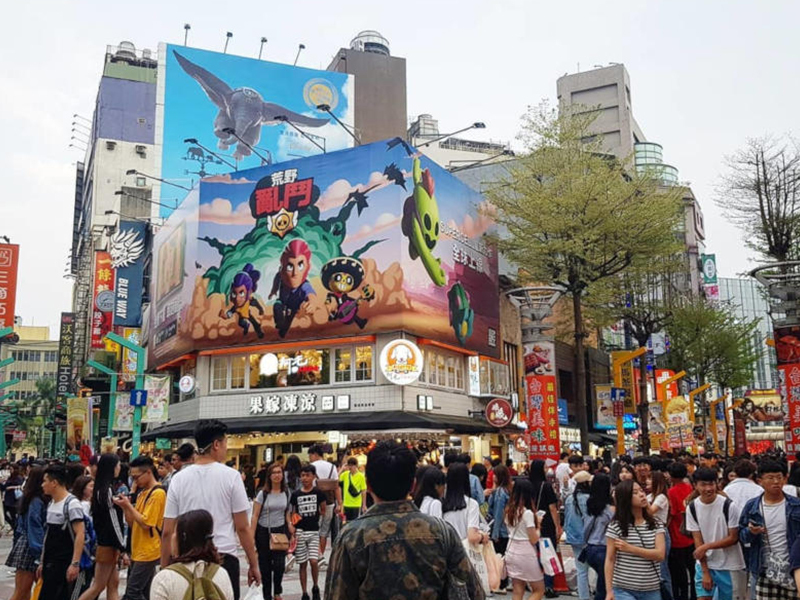 We haven’t really bought many things here but this has been a learning curve as I think next time we will do more research about the countries and places we plan on going to. There have also been a few technical obstacles like payment methods and shipping but we are still learning about this and we are getting better at it everyday. What advice would you give someone who has a similar dream but isn’t sure whether to take the leap? Take the leap! I think it’s the only thing you can do. That is the hardest part of starting any business. Its that first step of starting it. I think most people say you should plan ahead but that’s not really how we work. I had a concept and idea in my head and I knew it could work and so we just did it. So I think it just depends on how you work as an individual because some people have to plan a lot whereas I don’t. A lot of people advised me to write a business plan but I think I avoided writing one because I knew it would overwhelm me. I think if I had foreseen all the obstacles we have faced and all the amount of work it takes it would have terrified me even more and maybe stopped me from taking that leap. I do, however, know that for others planning is very important. So I think it just depends on you. You just have to start. If you are passionate about an idea, it usually works because people see your love and passion and want to support you. Which has been your favourite place that you have visited so far? 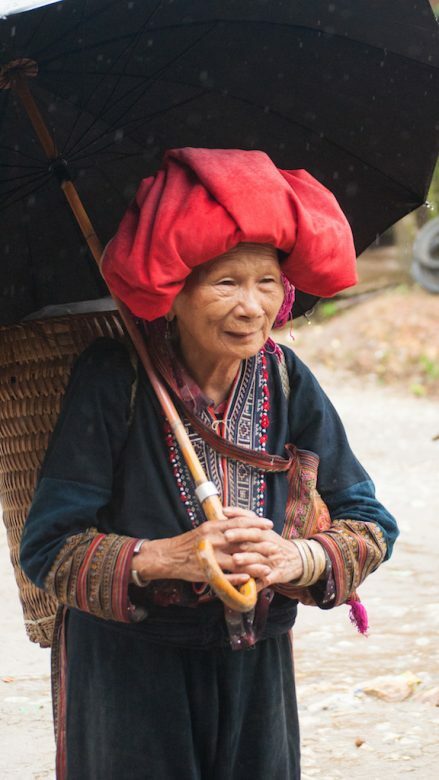 Sa Pa, Vietnam. 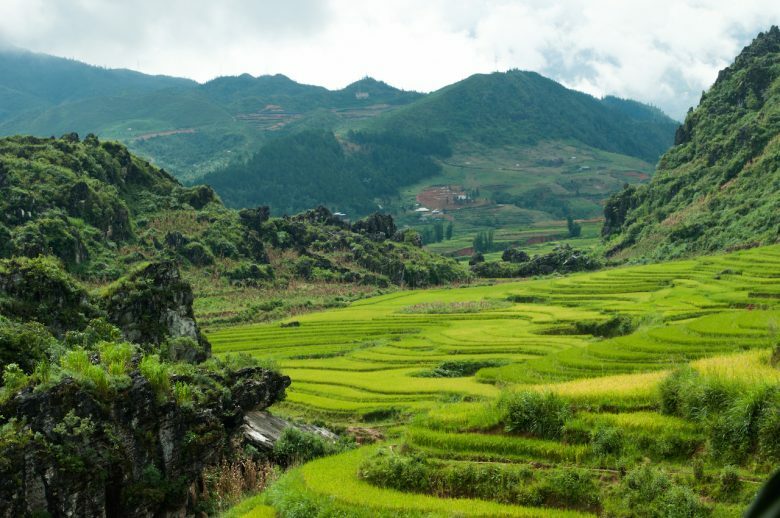 We really loved Sa Pa because we were there for quite a while. We created incredible connections with the women that we worked with while we were there and it is an incredibly beautiful place. 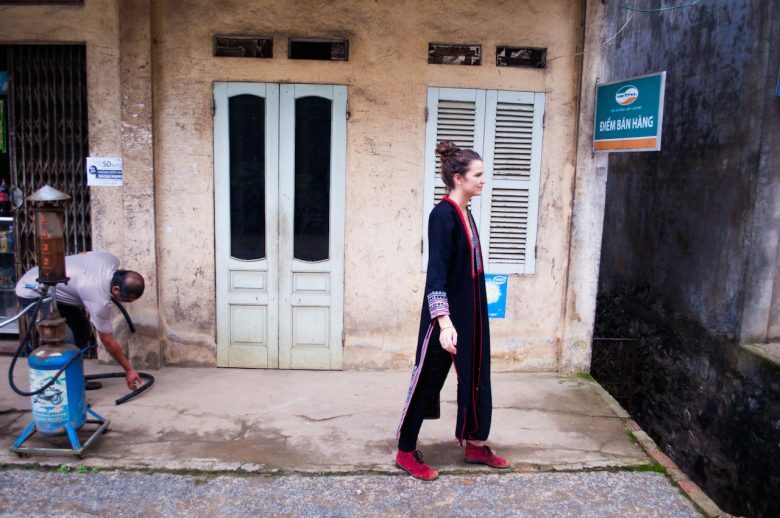 You are surrounded by rice paddies, mountains and beautiful women wearing the most amazing clothing and jewellery. The villages are also really unique and it almost feels like you step back in time when you visit them. The people that we met there were incredibly kind to us and we really felt at home. This was also where we started our business so it is very special to us. What are the perks of combining work and travel full-time? But I think the most amazing thing is that you have complete freedom. We can choose where we want to be and where we want to stay. We can stay in a place longer if we like it or shorter if we don’t like it. Travelling Trader is especially amazing because we get go to places that a lot of tourists don’t see and we get to know people very well because we work along side them. I think what is unique about Travelling Trader is that we learn so much about the people we work with, which is what travelling should be. A lot of people skip through countries and places so that the can say they’ve been there and take a quick selfie as proof. 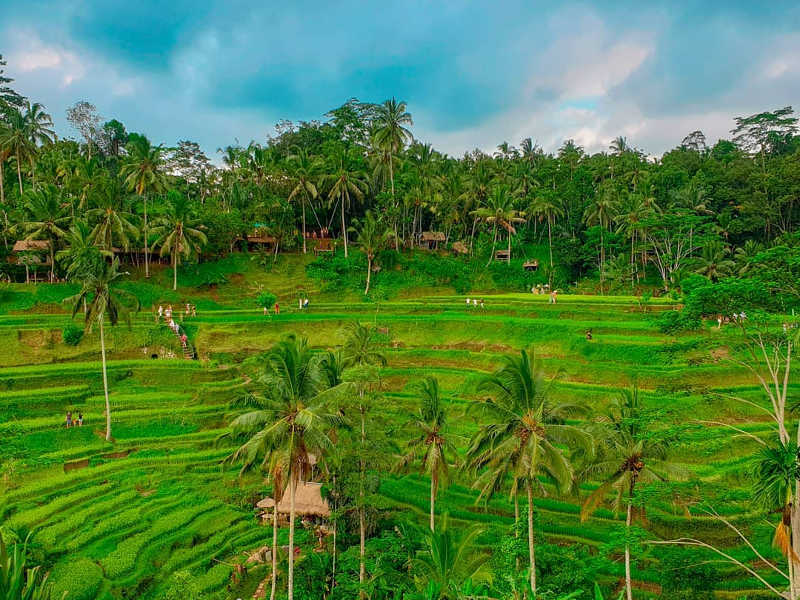 Because of Travelling Trader we have the luxury of staying in a place for a long time and getting to know the intricacies of cultures, religions and people. We have met so many incredible people that I don’t think we would have met if we were just travelling through. 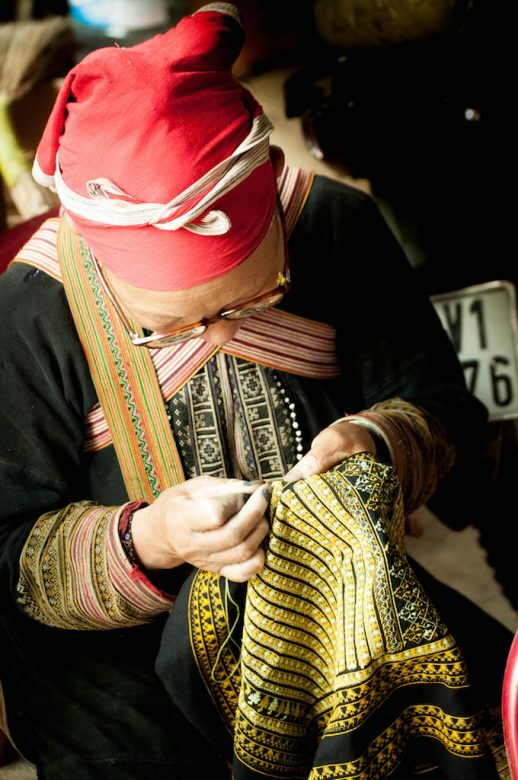 Finding these unique clothes and craft is our doorway into people’s lives and we get to hear beautiful stories and learn more about a culture and a people than through normal travel. Where to next and what’s in store for Travelling Trader in the future? We are going home to South Africa for my cousin’s wedding and will be working there in places such as Venda. I am really excited to be exploring my own country for a bit and showing off the textiles and skills that a lot of people in South Africa have. We are then going to India for three months, which will be incredible and we are planning on going to Rajasthan and then perhaps into the Himalayas. Feeling inspired? Find flights to Vietnam here. The beauty about Travelling Trader is that we can change our plans at any given moment and I think this is exciting for us as well as our followers. Sometimes we think that we will find a lot of products but we don’t so this can change the course of our travels and travel plans. Our long term goal is to travel through Africa. We plan on buying a car in Europe and doing a couple of pop up shops while we travel in Europe. We then want to drive through Africa exploring the richness of culture and textiles in our own continent and sharing this with our followers. We eventually want to try and make a travel show where we film the extraordinary places we go and share some of the stories of the people we work with, with the world. For now, we just want to get as many people to follow us on our journey and to support the local craftsman and woman that we work with. Traditional handmade textile, cloth and clothing is something which is dying and we want to revive this through our travels and through Travelling Trader. I am really so happy , this was my grade 7 teacher in South Africa and we spoke alot and I can remember she always had a thing for traveling and meet new people & doing new things . I remember the day I asked her what’s she going to do if she leaves teaching && she told me about it , I was so happy for her and knew she could do it . && here i am reading about her which makes me so proud and I hope that you achieve you goals , also I love your page it’s amazing , so keep up all the good work . Wow, they’ve done well – being able to strike a good balance between travel & running a business to support their endeavours. You are a Champion for that! Awesome. Very happy you coming to India for 3 months..you will be really inspired here! Fantastic to see how young, talented, driven and passionate people from the Limpopo Province , South Africa are showing the world how to follow their dreams. Well done Rebecca and Patrick!! Traveling Traders is amazing coz you can always go back to the blog to reread the story of the item you buy. Keep going Becca and Pat??? 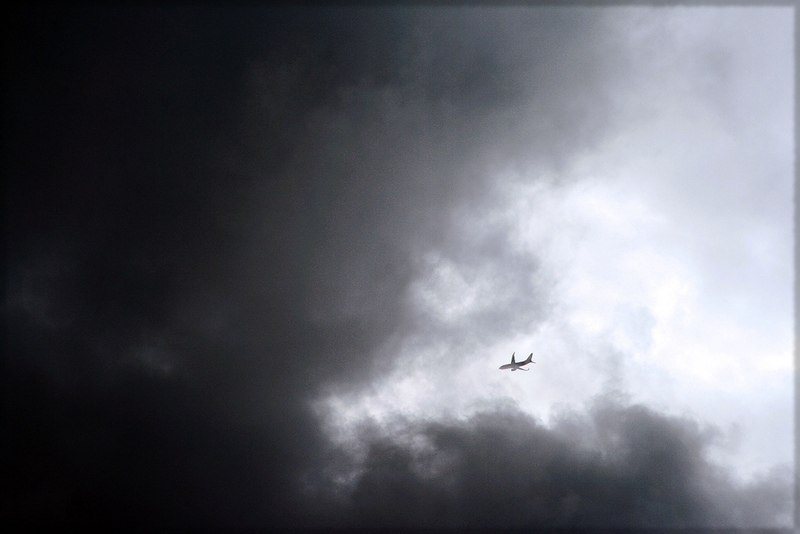 Fasten Your Seat Belt: How Worried Should You Be About Turbulence?